Does providing energy access improve the lives of women and girls? Sort of. Delphine collects firewood for cooking in Gakenke district, Northern Rwanda. 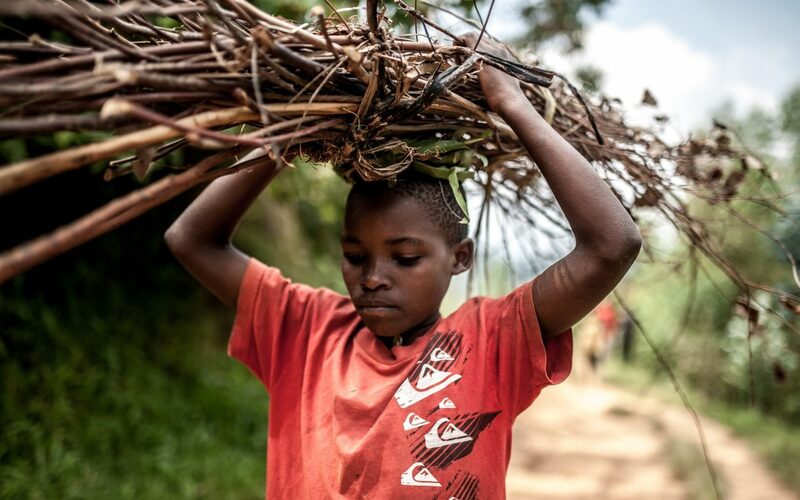 Delphine spends 4 hours a day collecting firewood and as a result has been failing many classes at school. Photo: Aurelie Marrier d'Unienville / Oxfam. Lessening the burdens of women and girls in energy poor communities takes much more than simply giving them access to improved energy sources. We’ve all see the photos of women and girls in developing countries carrying large bundles of wood on their backs, transporting the fuel they need over long distances in order to prepare meals for their families. Women are recognized to be more prone to the burdens of energy poverty because they’re responsible for tasks that would be made easier and safer if they had access to better energy sources, like liquid petroleum gas (LPG), modern cookstoves, and electricity. These tasks include cooking, small-scale agriculture, and participating in income-generating activities. So, if the burdens of energy poverty on women and girls are so clearly recognized, it’s easy to assume that simply providing access to these sources will make their lives better. A literature review I recently did looks at whether providing energy access to women and girls is proven to actually help them. What I found is that it’s a complicated issue. Although there is some evidence of women benefitting from access to energy sources like electricity and modern cookstoves, there are many other barriers that prohibit full relief from energy poverty, even once energy access is established. Households still use traditional energy sources, even when they have access to improved energy sources. Previously, it was believed that as a family’s income rises, they move up an “energy ladder,” gradually adopting more improved energy sources. The reality is that families combine the use of traditional sources with improved sources as their income and access increases, to either save on costs or due to preferences. Men’s decision-making power in many families means that they get to decide what the energy is used for. Due to gender inequality in much of the developing world, often only men have a say in what types of appliances are purchased once access to improved energy sources is established. This may mean that, even with electricity access, women can’t use the electricity to ease the burden of cooking or their other tasks. Men often see energy as a way to increase leisure time and quality of life, and to help their children’s educational success, and they may make purchasing decisions based on these views. This doesn’t always help women, who often view improved energy access as a means to reduce their workload, improve health, and reduce expenditures. Energy access doesn’t change the fact that women are mostly responsible for household tasks. Even if improved energy access does lessen women’s burdens in fulfilling their household responsibilities, energy access itself doesn’t mean that women are no longer responsible for those activities. So, it is important to acknowledge that energy access doesn’t lead to a more equitable division of responsibilities around the house. Sometimes, improved energy access means that women have less leisure time than they did before getting access to that energy. Electricity in the house means that the time to complete household tasks for women is essentially extended. It was found in many circumstances that rather than spending the evenings relaxing, as many men do, women in electrified households spent is working on their microenterprises. Although the flexibility that comes with more time to complete work can be seen as a good thing, it is important to realize that access to electricity often means women work more, not less. Energy access projects should involve women in their design and execution. Project designers should also account for local cultures and contexts when thinking about energy access projects. Energy access programs should be combined with other development objectives, like access to credit for women, economic growth more broadly, and – probably most relevant—women’s empowerment. For more information, please see the full report Energy and Women and Girls: Analyzing the Needs, Uses, and Impacts of Energy on Women and Girls in the Developing World. requirement for development, before that our ability to produce goods and services more efficiently, communicate more easily. Women who can control much better their time and others situations and their lives if they can use tools that depends from energy, so things become more dynamic inside the technological world. Women from any part of world must participate of the energy revolution, consequently politicians and governments have to do their homework to supply and support women’s priorities as energy for domestic and social facilities and benefities. I am hurt by no mention of how energy access is provided – fuel used and tariffs. Tariffs are so obvious that I need not dwell on that. Fuel used is ignored but has unintended adverse impacts both directly and indirectly. 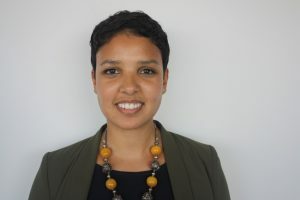 Rebecca Rewald is the Coordinator for Aid and Agriculture at Oxfam America.